We use only quality glass and windscreen components from Australia’s leading suppliers and if not in stock we are able to locate one through our network of Australian and International Suppliers. 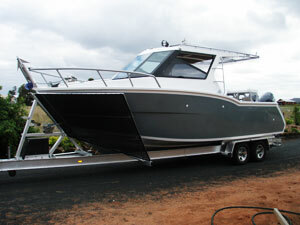 We specialise in cutting laminated glass to size for buses, trucks, machinery and boats. We also cut to size Fortress glass, the ultimate super strong glass used in mining and heavy industry. We are also able to supply custom made toughened glass. Supply and cut Perspex, polycarbonate and Lexon. We are an approved service provider to many insurance and fleet companies allowing us to bill directly to your insurance company with a minimum of fuss and a maximum service for our customers. Our team is lead by Shane Powell who has full industry training and 20 years experience. 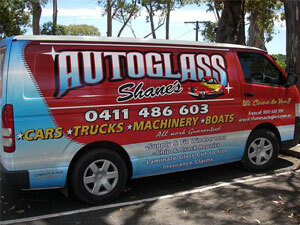 He understands the need for high Australian and International standards in both glass and glass componentsand the importance of professional skills and ability in glass installation as the windscreen in most vehicles contributes heavily (up to 30%) to roof crush prevention and structural rollover strength and is the major component for deflection during deployment of the passenger airbag. We are a local family business servicing the greater Moreton Bay Regional Area including Landsborough, Beerwah and Glasshouse Mountains, Kilcoy to Caboolture and Burpengary, Redcliffe, Scarborough, Woody Point and Margate to Strathpine & Brendale and all surrounding areas. We are a fully mobile service – “We come to you”.